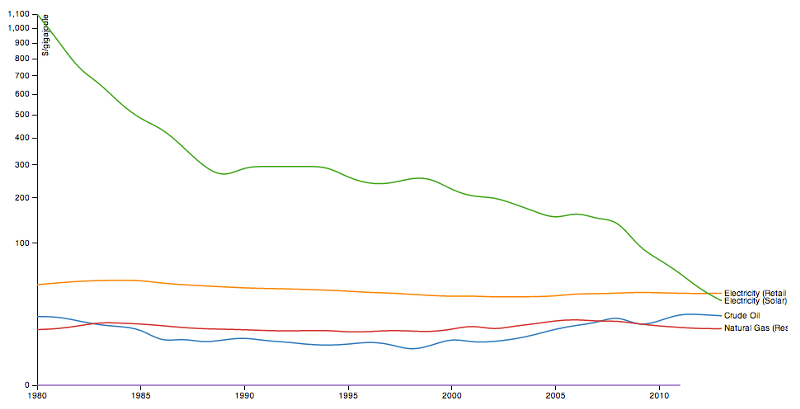 Natural gas and renewable power are the main new sources of electric power added to the US grid. Various worldwide government incentives for renewable power have resulted in a tremendous growth in wind and solar installations that have improved efficiencies and reduced costs. As wind and solar reach parity with conventional electric power sources they will change the electric grid at a faster rate. While smart cities and towns transition toward renewable wind and solar electricity production, Distributed Energy Resources (DER) will have a profound impact on the business model for utilities. 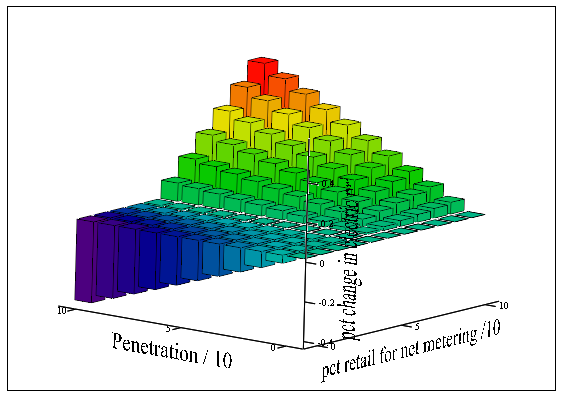 Depending on the net metering rate we choose and the penetration of DER (mostly solar), the rate the town would need to charge customers would increase depending on penetration and net metering rate. If penetration was just a few percent, the impact on remaining rate payers would be minor, but even without any net metering compensation, a high penetration of renewables would drive the utility to a business model as a backup power supplier, with a correspondingly premium rate. See Lawrence Berkeley Labs DOE April 2017 study: Financial Impacts of a Combined Energy Efficiency and Net-Metered PV Portfolio on a Prototypical Northeast Utility. To understand how this works, suppose our town got to 100% DER, which means on average for the year our town produced as much energy as it consumed. Suppose our retail rate to our customers was 20 cents per kW*hr and this cost was 7 cents for energy, 3 cents for transmission, and 10 cents for local distribution. In this case, we could, in principal, save 7+3 or 10 cents as we would not need to buy any power. In practice, this is not so simple. If our DER were mostly solar, we would produce much more than we needed during the sunny summer months and we would need to find a service that could buy this extra production for us and supply it in December and January when we have much less sun. Such a service would be quite hard to find. The technical problem is storing such a vast quantity of energy for such a long time. Batteries, pumped hydro, CAES, and most other energy storage technologies could not do this economically. It is likely that new and creative ways to put excess summer power to better uses will come along. The financial problem is more concerning as our utility still needs to maintain reliability and find a fair way to charge customers that are using less power. Figure 2 above is using the model in the Lawrence Berkeley Labs DOE April 2017 study. Note that a combination of high net metering rate and high penetration will increase the cost of power to all customers. If we do not compensate our customers for net metering, then this power could displace purchased power and reduce rates assuming all customers stay on the grid and do not install batteries. This neglects problem of finding a power provider for the town that would need to both buy and sell power if our town gets to a high DER penetration rate. On the one hand, customers that install a renewable DER system are helping to meet local, state, federal, and world goals to move to a sustainable clean energy model. On the other hand, massive DER penetration represents a fundamental shift from central station power that has an enormous impact on generating stations (both base power and peaking units), transmission operators, and the local distribution networks. With PV power achieving parity, our small-town utility may eventually be morphing into a role of energy storage broker and backup power supplier. It will take decades for this transition and we could get surprised if some new low-cost central station technology (like nuclear fusion) comes along, or if government incentives, or regulations push us into a different direction. Watching the recent trends, it does appear the smart city of the future will move to a more DER-based grid, with new and better energy storage methods, and they will need new smart utilities to support their new customer needs. Although we have yet to see any towns close to 100% DER penetration, the effect is proportional and those utilities that offer high rates for excess DER generation and encourage energy conservation will accelerate the DER penetration and the transition of the utility to backup power provider and a broker for selling excess DER power. While this phenomenon has been called the utility death spiral, it may be better understood as the birth of a new utility electric grid and utility business model.